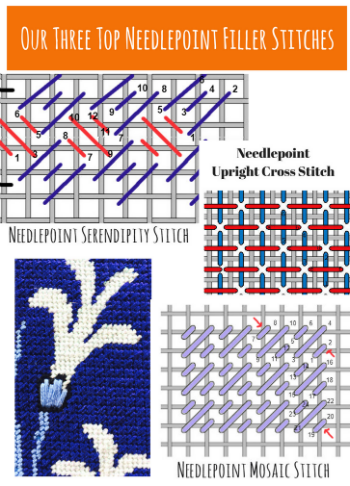 Use this stitch library as a handy resource for how and where to use a variety of needlepoint stitches. 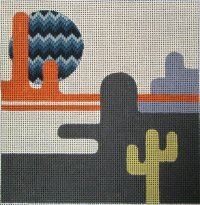 Needlepoint Continental Stitch. 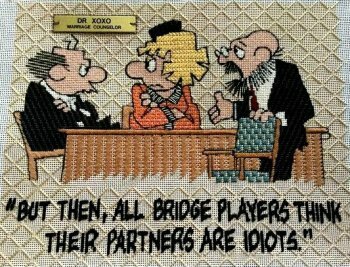 A great all-over stitch. 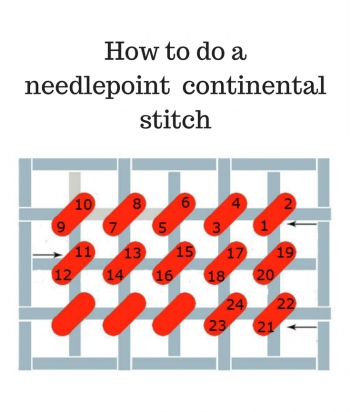 Learn how to do a needlepoint continental stitch and when to use it. basic coverage and ability not to distort the canvas. Hungarian Needlepoint Stitch. 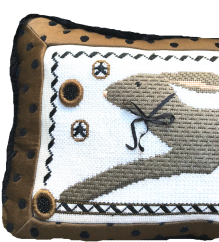 How, where and why you should get to know the Hungarian needlepoint stitch. 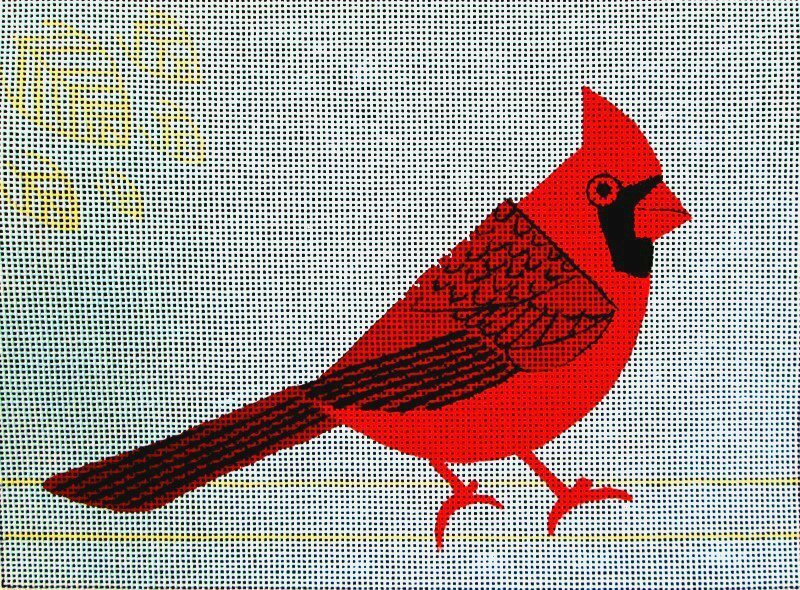 Open Squares Needlepoint darning stitch makes a pretty background stitch that stitches up really quickly. 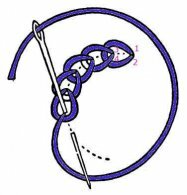 Laced Chain Stitch. 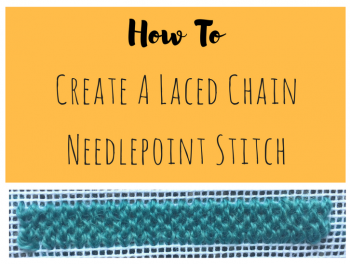 How, where and why you should get to know the Laced Chain needlepoint stitch. 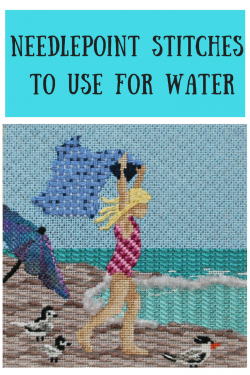 Best needlepoint stitches to use for water. Click here. 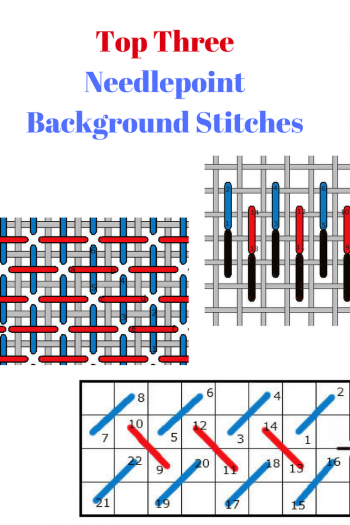 Our top three Needlepoint Background Stitches. 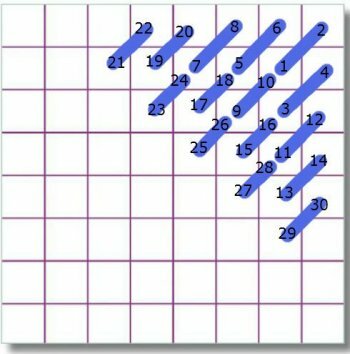 How to create a needlepoint darning stitch in the shape of a question mark. 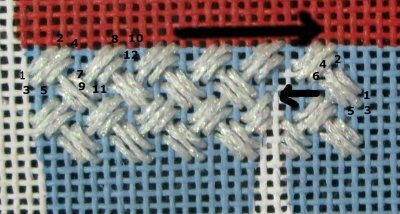 Needlepoint Slanted Victorian Step Stitch - how and where to use it. 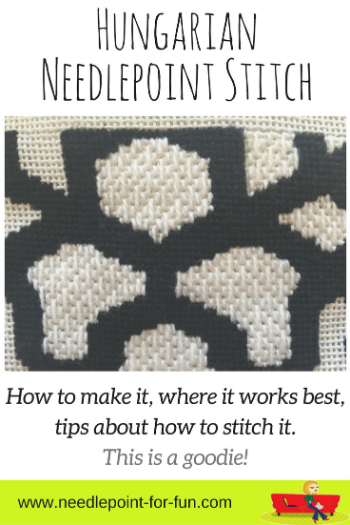 Needlepoint Kalem Stitch - Five reasons why we love this stitch and how to use it. 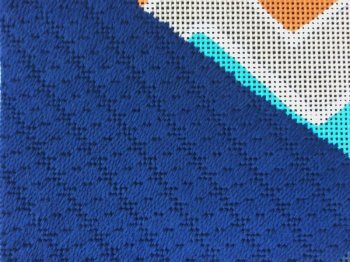 Using a needlepoint bargello pattern to highlight a single feature on a canvas. 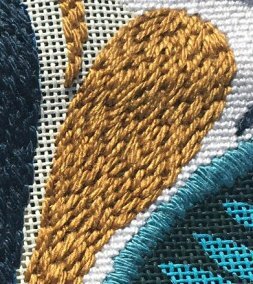 A needlepoint swirl stitch is a very handy flowing pattern stitch to use on sea and sky. 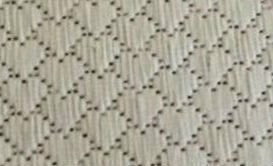 Couched Ray Stitch. Perfect for spokes, sun rays, spider webs. Hungarian Criss-Cross stitch - use it when it snows. 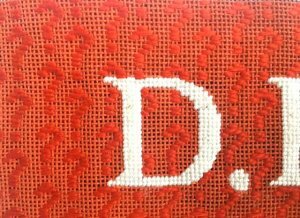 Needlepoint Water Stitch. The perfect stitch for stitching, strangely enough... water? Using a Gathered Stitch to stitch curly hair and fur. 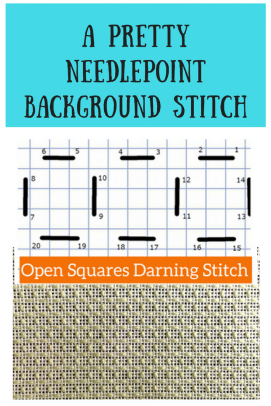 Two easy needlepoint open stitches for quick background stitching. 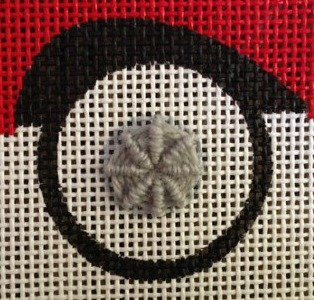 Needlepoint Back Stitch. Great for surface embroidery. We use this one a lot. direction of movement as it can be worked horizontally or vertically. A Needlepoint Chain Stitch is useful for braids, cords, trunks etc. Needlepoint Framed Scotch Stitch. 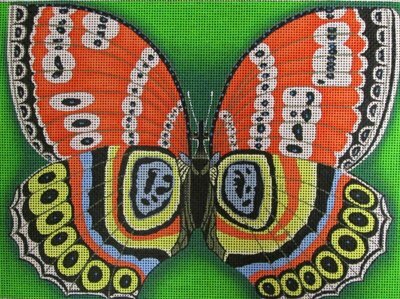 This is a great stitch for creating a pattern on your canvas.